Trends in data storage are changing at an exponential rate. The past few years alone have seen the progression of data storage from large servers with magnetic media to cloud-based infrastructure with increasingly dense solid state media. 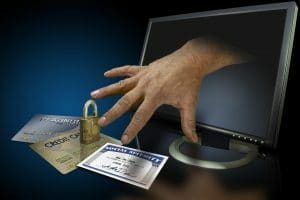 Along with every technological advancement in data storage has come the inexorable advancement of data theft. 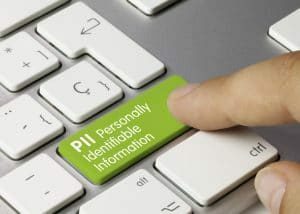 As a result, the scope and level of responsibility for protecting sensitive and Personally Identifiable Information (PII) has expanded to include not only the originators of data, but also all of the intermediaries involved in the processing, storage, and disposal of data. To address these critical issues and to protect organizations and citizens of the United States, the Information Technology Laboratory (ITL) at the National Institute of Standards and Technology (NIST) has developed NIST 800-88 “Guidelines for Media Sanitization” to promote information system security for all other applications outside of national security, including industry, government, academia, and healthcare. NIST 800-88 has become the predominant standard for the US Government, being referenced in all federal data privacy laws, and has now been overwhelmingly adopted by the private sector as well. NIST 800-88 assumes that organizations have already identified the appropriate information categories, confidentiality impact levels, and location of the information at the earliest phase of the system life cycle as per NIST SP 800-64 “Security Considerations in the Systems Development Life Cycle.” Failing to initially identify security considerations as part of the data lifecycle opens up the strong potential that the organization will fail to appropriately maintain control of and protect some media that contains sensitive information. Confidentiality is defined by the Title 44 US Code as “preserving authorized restrictions on information access and disclosure, including means for protecting personal privacy and proprietary information.” FIPS 199 — NIST’s Federal Information Processing Standard Publication 199, Standards for Security Categorization of Federal Information and Information Systems — adds that “a loss of confidentiality is the unauthorized disclosure of information.” Bearing these definitions in mind, organizations must establish policies and procedures to safeguard data on used media. Common methodologies of illicit data recovery include basic acquisition of clumsily sanitized media either through third party sale or old-fashioned dumpster diving, or the more sophisticated laboratory reconstruction of inadequately sanitized media. Currently, two types of basic media exist: hard copy and electronic. Commonly associated with paper printouts, hard copy actually encompasses a lot more. In fact, all of the materials used in the printing of all types of media, including printer and fax ribbons for paper and foils and ribbons for credit cards, are considered hard copy. Electronic media consists of any devices containing bits and bytes, including but not limited to rotational and solid state hard drives, RAM, boards, thumb drives, cell phones, tablets, office equipment including printer and fax drives, server devices, flash memory, and disks. It is expected that, considering the rate at which technology is progressing, additional media types will be developed. NIST 800-88 was developed in such a way that sanitization and disposal best practices pertain to the information housed on media rather than the media itself, allowing the guideline to more successfully stay current with future innovations. Clear applies logical techniques to sanitize data in all user-addressable storage locations for protection against simple non-invasive data recovery techniques; typically applied through the standard Read and Write commands to the storage device, such as by rewriting with a new value or using a menu option to reset the device to the factory state (where rewriting is not supported). One of the most commonly used clearing methodologies for data sanitization on magnetic media has traditionally been overwriting using dedicated sanitize commands. Note that basic read/write overwriting is never recommended as it does not address all blocks on the media. Drawbacks to overwriting using sanitize commands are two-fold: 1) it is only effective for magnetic media, not solid state or flash, and 2) this methodology is wide open to operator error and theft, as well as undetected failure. A common form of purging used for magnetic media sanitization is electromagnetic degaussing, whereby a dedicated degaussing device produces a build-up of electrical energy to create a magnetic field that removes the data from the device when discharged. Degaussing has long been an acceptable form of media sanitization for top secret government information when used in tandem with a hard drive destruction device such as a crusher or shredder. Degaussing alone poses the same concerns as overwriting in that operator error or deceit remains a possibility. In addition, the strength of the degausser is critical when eliminating sensitive information from magnetic media. Typically, degaussers evaluated and listed by the National Security Agency (NSA) are considered the golden standard. While clearing and purging provide adequate media sanitization involving less sensitive data, destroying is the most effective and permanent solution for secure data applications. Organizations should take into account the classification of information and the medium on which it was recorded, as well as the risk to confidentiality. As the internet continues to expand and the switch from physical to digital document-keeping becomes the industry standard, more and more data holds PII information such as financials, health records, and other personal information such as that collected for databases or human resources. As a result, security-focused organizations are becoming more cognizant of the fact that comprehensive data sanitization — including destruction — must become a top priority. 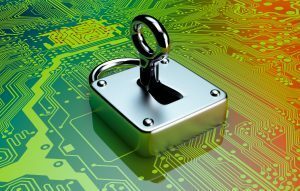 Industry-tested and accepted methodologies of secure data destruction include crushing, shredding, and disintegration, but even these secure end-of-life solutions require thoughtful security considerations. For example, shredding rotational hard drives to a 19mm x random shred size provides exceptional security for sensitive information. However, a 19mm shred size would not even be an option for solid state media, which store vast amounts of data on very small chips. 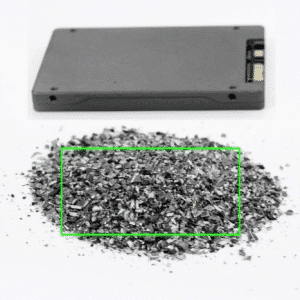 Instead, sensitive solid state media should be shredded to a maximum size of only 9.5mm x random, while best practices for the destruction of highly sensitive or secret information is to disintegrate the media to a nominal shred size of 2mm2. 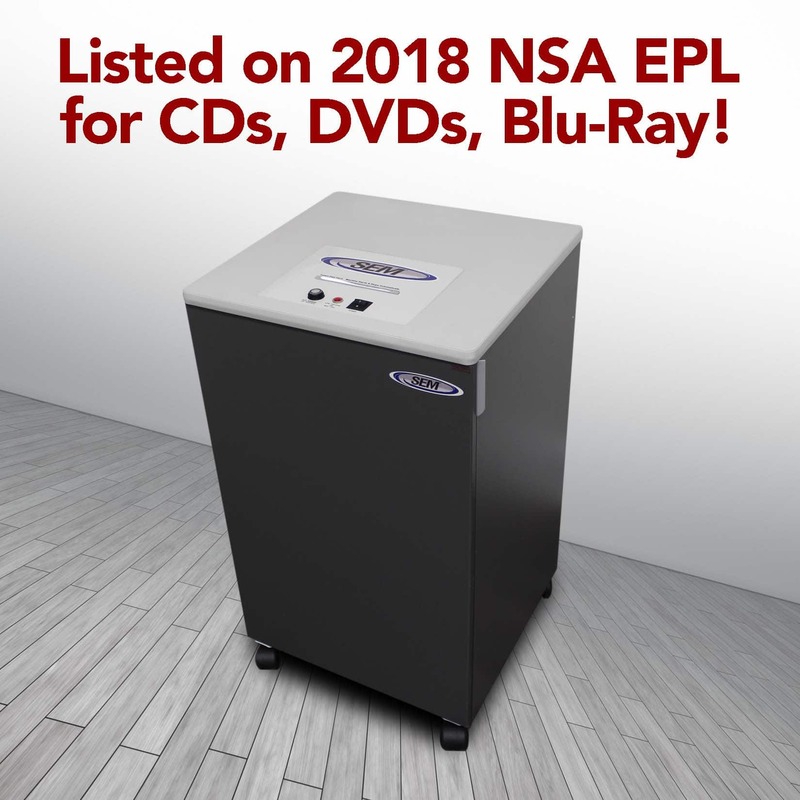 In addition, some destruction devices such as disintegrators are capable of destroying not only electronic media, but also hard copy media such as printer ribbons and employee ID cards, providing a cost-effective sanitization method for all of an organization’s media. While NIST 800-88 has become the industry standard for secure data sanitization, the guidelines do not provide definitive policies for organizations. Rather, NIST 800-88 leaves the onus of appropriate data sanitization to organizations’ responsible parties including chief information officers, information security officers, system security managers, as well as engineers and system architects who are involved in the acquisition, installation, and disposal of storage media. NIST 800-88 provides a decision flow that asks key stakeholders questions regarding security categorization, media chain of custody including internal and external considerations, and potential for reuse. Regardless of the sanitization method chosen, verification is considered an essential step in the process of maintaining confidentiality. It should be noted that verification applies not only to equipment and sanitization results, but also to personnel competencies. Sanitization equipment verification includes testing and certification of the equipment, such as NSA evaluation and listing, as well as strict adherence to scheduled maintenance. Organizations should fully train personnel responsible for sanitization processes and continue to train with personnel turnover. Lastly, the sanitization result itself must be verified through third party testing if the media is going to be reused. When media is destroyed, no such verification is necessary, as the pulverized material itself is verification enough. Because third party testing can be impractical, time consuming, and costly, many organizations choose to destroy media to ensure full sanitization of data and in doing so, to greatly mitigate risk. NIST 800-88 was developed in an effort to protect the privacy and interests of organizations and individuals in the United States. Adopted by nearly all federal and private organizations, NIST 800-88 provides an outline of appropriate procedures for secure data sanitization that both protects PII and confidential information while reducing organizational liability. Determining proper policies is realized by fully understanding the guidelines, following the sanitization and disposition decision flow, implementing data sanitization best practices, and engaging in ongoing training and scheduled maintenance. Because NIST 800-88 guidelines do not provide a definitive one-size-fits-all solution and are admittedly extensive, working with a knowledgeable data sanitization partner is key to a successful sanitization policy.